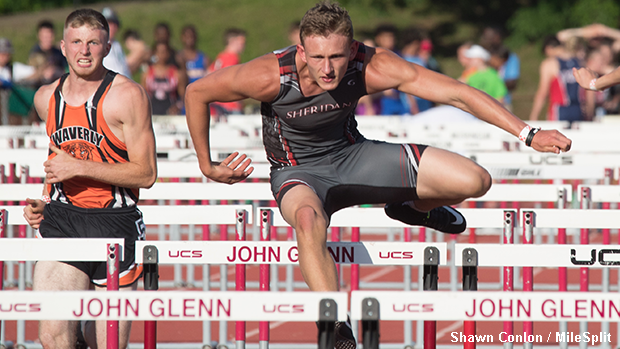 Ethan Tabor recorded qualifying times of 14.70 and 38.54 in the 110mH and 300mH events. MileSplit Ohio was on-site for day one action of the OHSAA Division 2 Region 7 meet which took place on Thursday at Muskingum University in New Concord. Continue reading about some of the athletes who qualified for their event's finals on Saturday, as well as some top finishers for events that have concluded.